Keshe Pain Pens offer natural pain relief for acute and chronic pain. By sending controlled plasmatic fields to the brain through nerve pathways, the pen offers plasmatic magnetic-gravitational therapy for both young and old. The pen emits plasma fields that penetrate up to 3cm below the skin, helping to bring the body into balance. The time of popping pills to relieve pain is over. The Keshe Foundation pad emits plasma fields that penetrate up to 3cm below the skin helping the body back to balance. With its unique ergonomic design, which fits like a second skin, you can now enjoy comfort and well-being very quickly. The Keshe Pain Aid Pad is made with adaptive elastics that conform organically and comfortably to the contours of the body. Easy on, easy off. 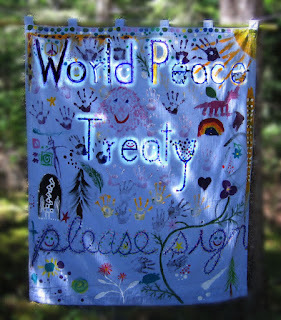 I will mail you a patch if you sign the World Peace Treaty and send me an email with your address. Patches are devices filled with gans water that carries the plasma field energy. This plasma field energy flows through your skin into your body producing various healing changes. Your body is made of plasma, so it is natural for your body to take what it needs from the patch. Plasma energy is what your body is made of. Plasma is conducive only to life. We can expand our knowledge from the three states of matter we are used to living in (solid, liquid and gas) to include nano, gans and plasma.Care of Patches. They never get old. You can pass them on to your grandchildren. They may dry out or get puctured. The original gans plasma energy is still viable, bringing peace to your body. Put them in your pocket. Put them in your bed and sleep with them. If you start to feel like you are "catching something", get a Goodbye patch on your body immediately, put yourself in a recliner and feel the plasma energy moving through your body and then the wave of peace that follows. Any bacteria, virus, or parasite that has a protein base, that would like to live in your body to create havok will have its energy withdrawn so it can no longer do its intended job. Plasma energy never affects our beneficial body processes. These have more uses than we have discovered yet. They can eliminate pain. Spray CO2 gans water on your skin and cool your sunburn or any skin irritation. It is great for burns. It helps reconstruct damaged nerves. Often CO2 gans has ZnO gans in it which accelerates emotional healing. CH3 patches are like a rudimentary sugar that brings energy to the body. As a field expander it benefits the blood. These patches strengthen the soul and are red. CuO gans patches support the soft tissue and assist the physical body and muscles to regenerate. They keep the lymph healthy and flowing. I choose to make CuO patches blue. Join this grassroots worldwide participation program to collect data to explore the effects of CO2 Gans supplements, bypassing the pharmaceutical drama. You will know in three days if and how these products are affecting you. Detailed documentation to start is required.